Weight (sorry i dont have it yet but i think the same than the old hyperspin). LED Light kit: Yes, compatible the same old model from the previous Hyperspin. Bearings Kit: NOT TESTED YET. Originally they are sold without bearings but as the size of the axel is exactly the same than in the previous version I guess they are also compatible with the bearing of the old model. Sorry I cannot test that. Colour: only red (for now and as far as I know). Yes they are transparent, very transparent! 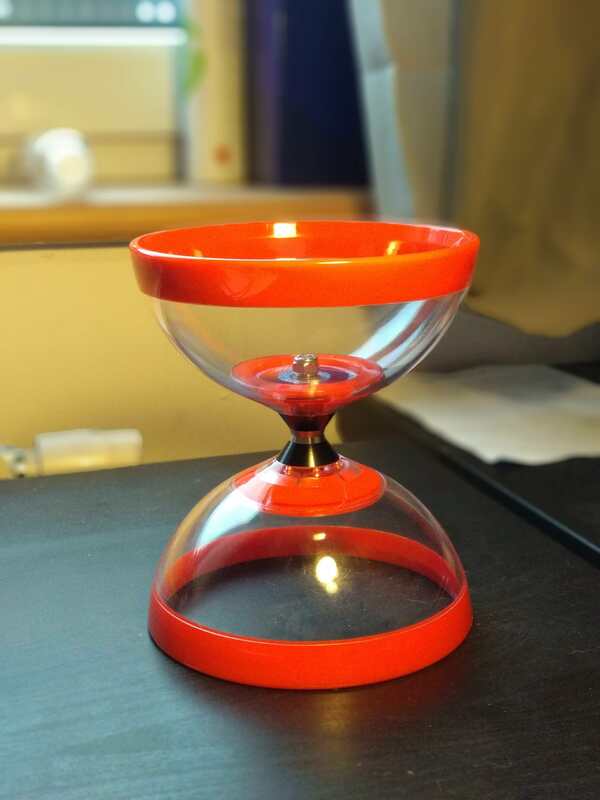 Especially when they are new it is almost like a glass (pics 1, 2 ,3, 5), you cannot even guess if the diabolo is spinning or not! However (and unfortunately) they get scratched, I have to confess that they get less scratched than I thought at the beginning. Note that except in the first pictures the rest of pics has been taken after one week training quite a lot in a park and in a kind of rubber black plastic floor (you can see some black scratched in the cups, all pics except 1,2,3,5). Some people may not like transparent diabolos but for us they look great, especially with the LED kit from Hyperspin which they are compatibles. Smooth, that’s the word which suit the new Hyperspin Zero, they are so smooth that at the beginning when we got them we couldn’t make the hover with 3 diabolos, we had new string (henrys). I am not joking, Wis and me can do 3 diabolos since many years and it took to us like 3 or 4 attempts each of us to get the 3 diabolos hover start properly . It feels like no friction with the string at the beginning, i think with the time and use based in my experience with the previous Hyperspin this may change a little bit, but just a little. Particularly playing with new string you can get tired to accelerate them so often, but later you get used to and after a while, when my string got a bit dirtier, everything started to flow. Note that i always always play with really dirty string. We were even wondering if that’s the reason why hyperspin is producing this weird, thick and less flexible string (also not very common in Europe), maybe it fits good with their diabolos… This diabolos are even allowing us to try tricks using new string that we though almost impossible (or very very hard) without bearings. 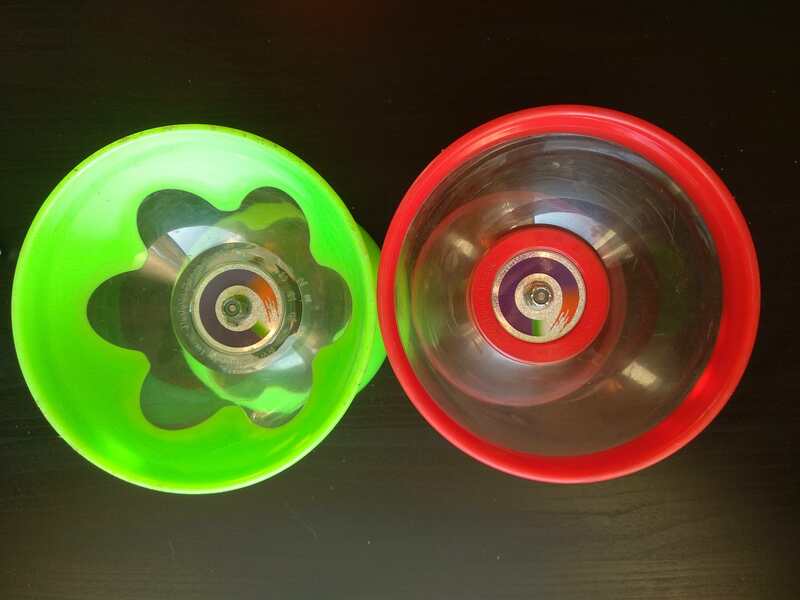 Its impossible not to compare them with the previous Hyperspin because they are basically the same except the cups (pics 8, 9, 10, 11, 12). 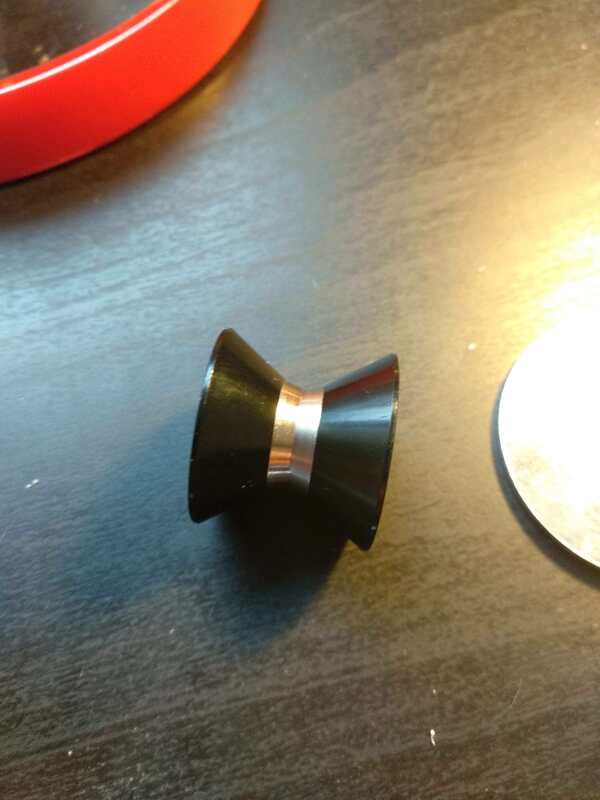 The axle is the same (pic 12) or I didn’t feel any difference, at least in the size, but its true that the new Zeros feels a bit more smooth, maybe because they are new plus the cups are better… I know that not many people has been able to try the hyperspin without bearings as they are not very popular in Europe and they are difficult to get... 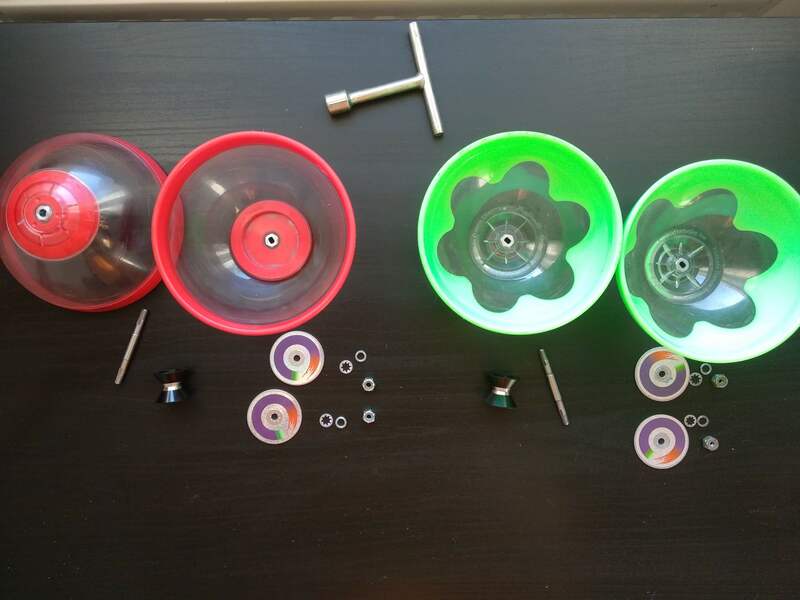 I remember last EJC in Poland Wis was the only one who has the old Hyperspin without bearings (the green ones that I used for the pictures below). 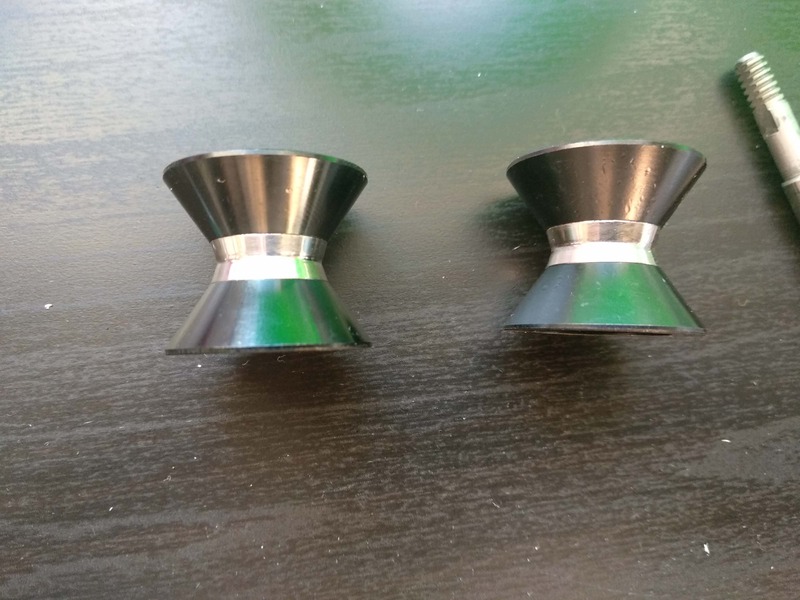 In this new version the guys from Hyperspin finally improved the cups. 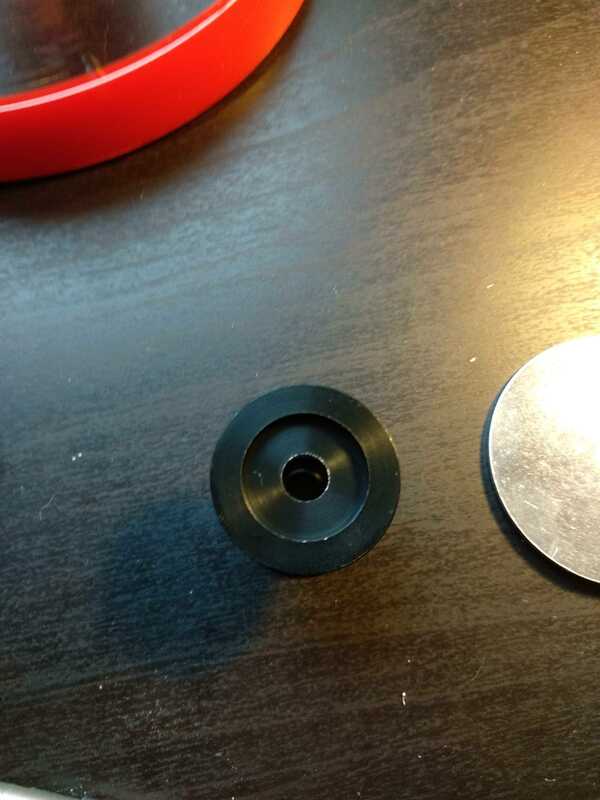 This ¨flower¨ pattern made the old hyperspin cups quite week and they used to break or crack ¨easily¨. Also now the washers fits perfectly in the cups as it has a hole with the exactly same dimension than the washer (pic 3 and 5). 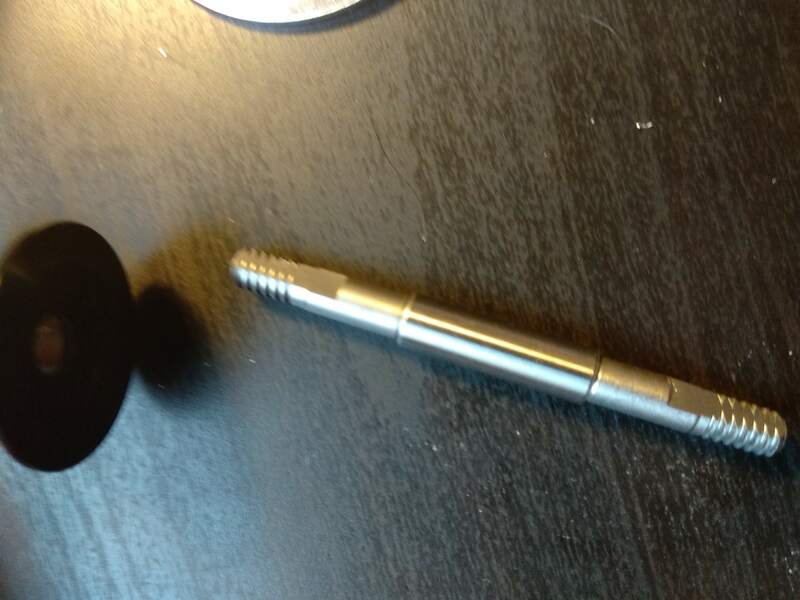 As in the old model they use a clever method to prevent that the diabolos get disassemble, they have the axle with a small notch which is preventing that the internal metal axle move (pics 4, 5). 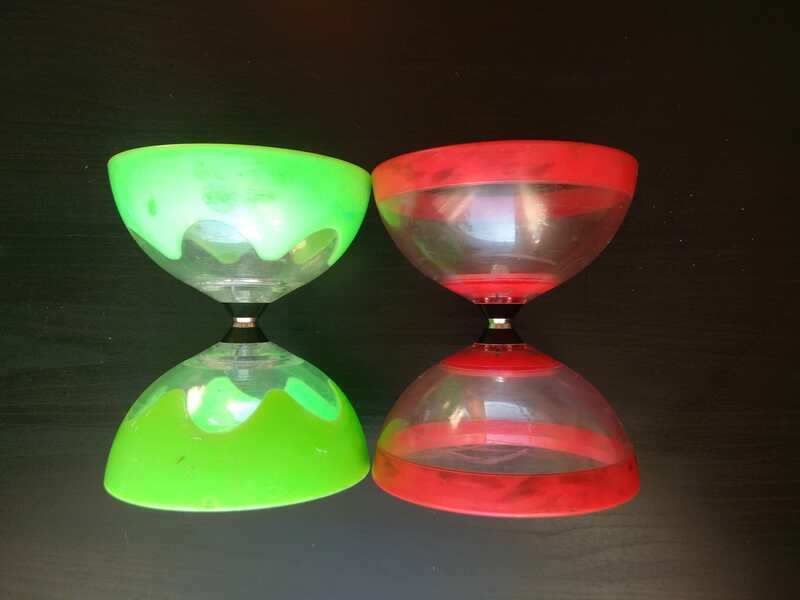 You have to tie both sides of the diabolo separately. The new cups looks more solid than their predecessor but we will have to wait to see how they evolve with the future… however our feelings are much better about that because they removed this weak curvy points where the old cups use to breaks or crack due to the ¨flower pattern¨. For now they look solid and resistant. The cups are rigid, quite hard, when they hit you they may hurt a lot . 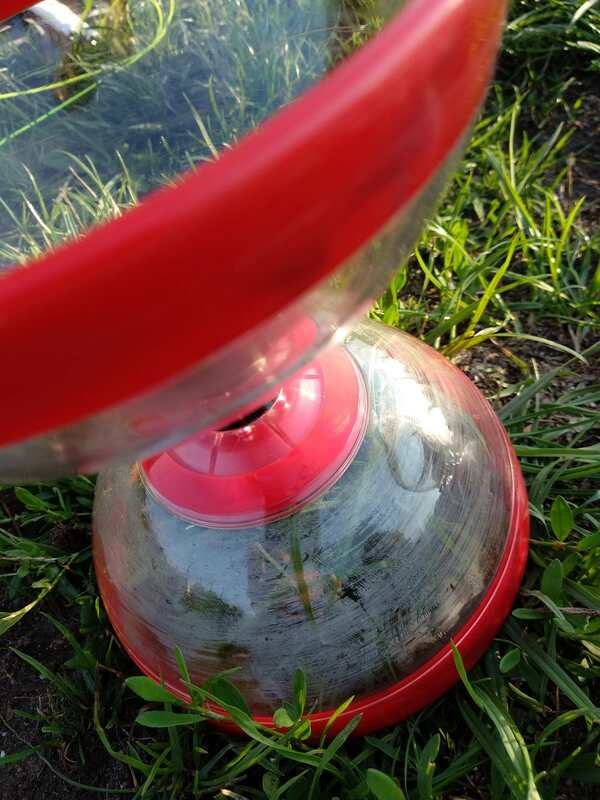 This is making them also quite noisy when they bounce on the floor or you hit them with the sticks, maybe more than i (and my flatmates) would like. 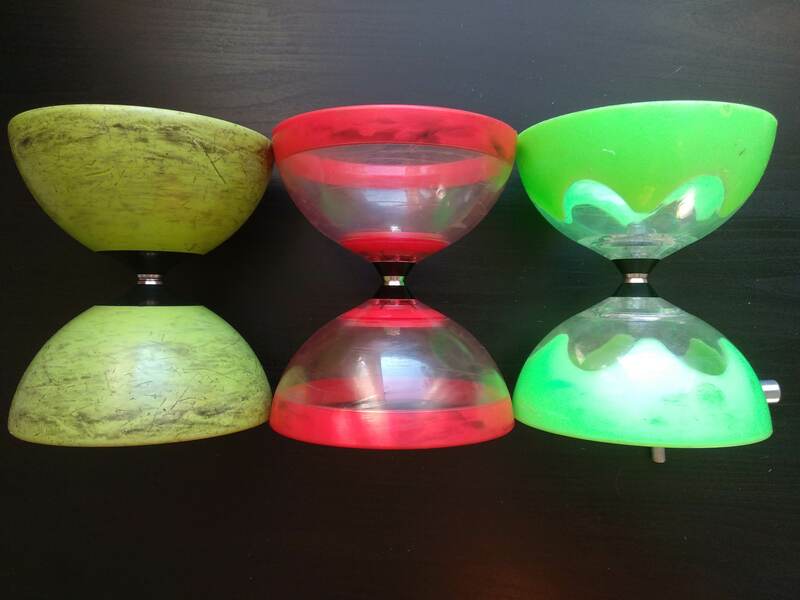 When you hit the cups to correct them either with multiple diabolos or with one the vibration is really low and they stabilize quite fast. 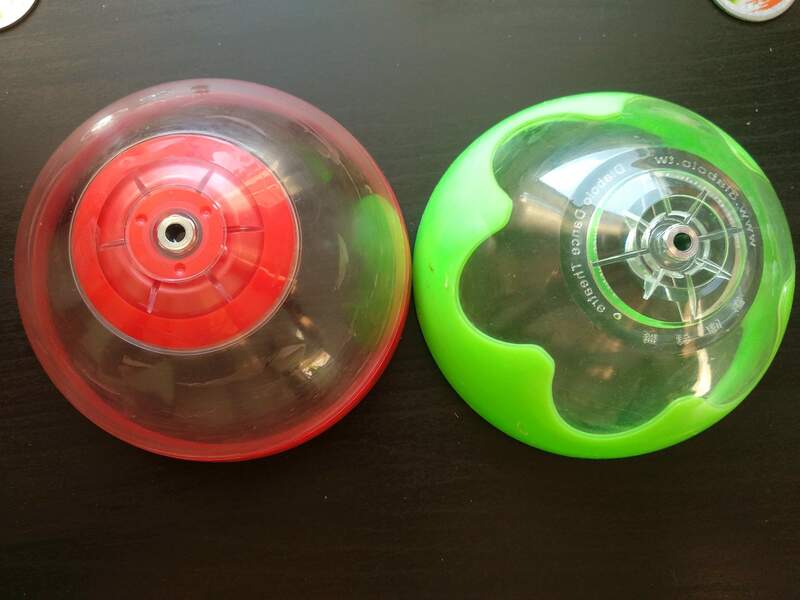 For somebody who has never played before with Hyperspin the feeling is a bit different. 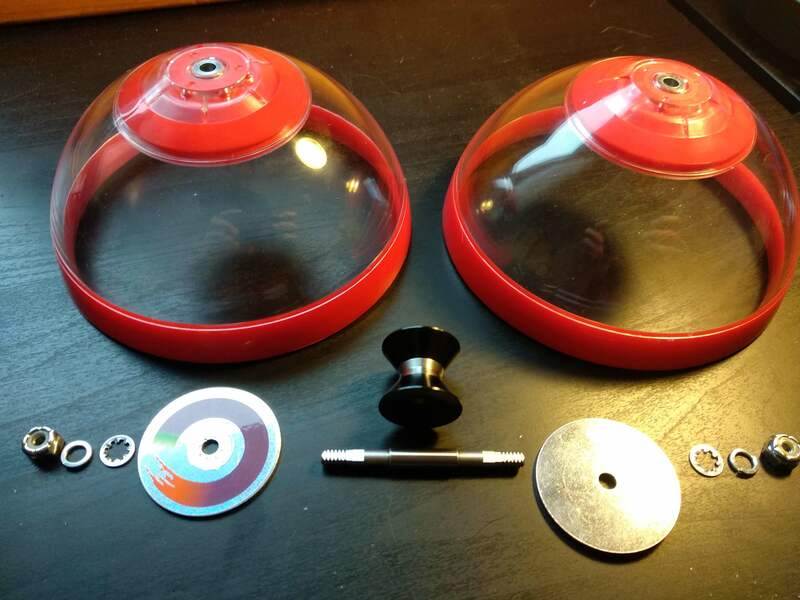 Apart of the smoothness already commented, they are very wide comparing with other diabolos. 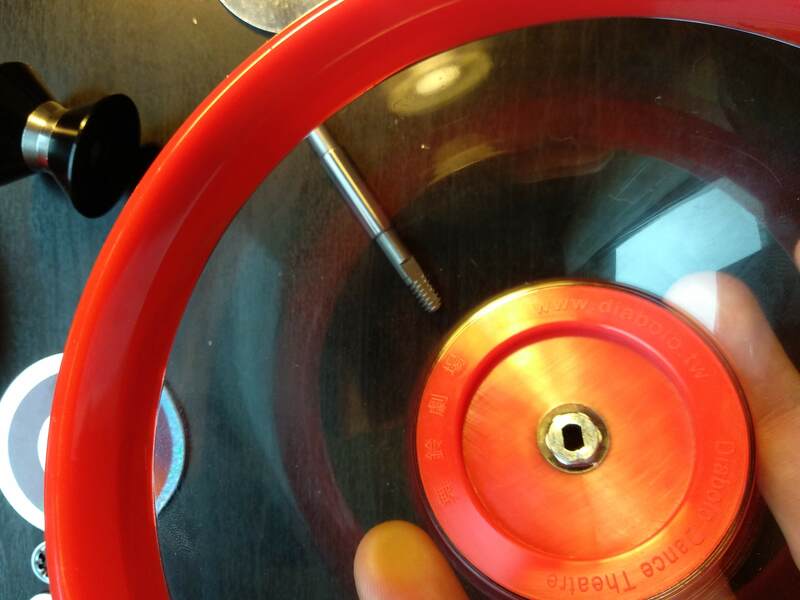 I found difficult to touch or correct the diabolos touching the cups with the string, not just because they are wide also because the cups are really smooth and the have low friction with the string (maybe because they are new...) but i feel how the string is pushed by the cups to go to the axle immediately, which usually is a plus. This wideness is really helpful in most of the times because they won’t change the plane during your combos, you won’t have to correct them much but there could be some people who prefer more narrow diabolos. 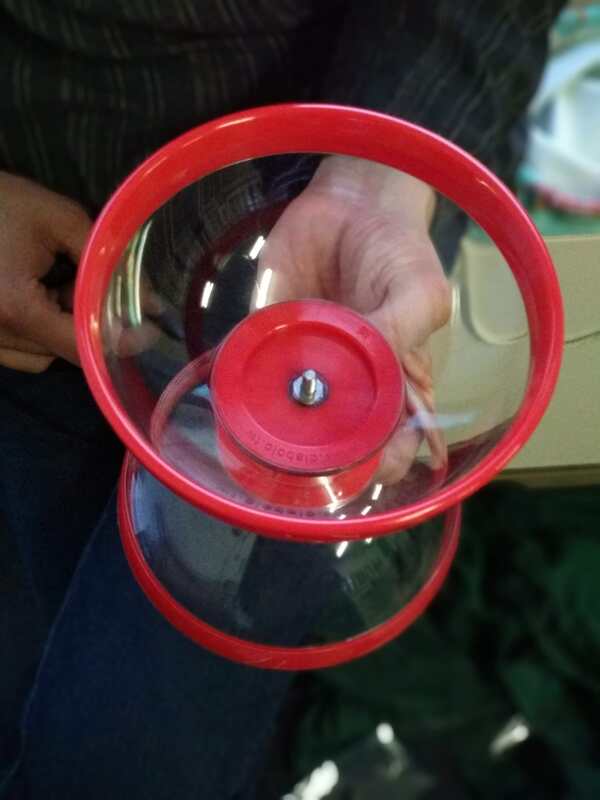 For example I love to do fans tricks and variations with fans (swing –fans, 360, etc) with this diabolos is quite easy due to the wide of their axle. TL;DR In general the feeling is really good, one of the best diabolos that you can get now a days, really well balanced, very wide, hard and stable daibolos. 14 Funny detail HyperSpin Zero blurry and wet inside the cups. Video testing the LED Kit HyperSpin Zero LED VS Old HyperSpin LED. My opinion regarding the LEDs, both look really great, however this shinny (alien, toxic) green from the old hyperspin is difficult to beat, its just simply too shiny in whatever specially in green, however the news Zeros looks really nice with all the colours and from all the angles. The old hyperspin may be not so colourfull with all the colours, however i couldnt test the other transparent hyperspin. Feel free to ask if you have more questions or if something is not clear. Wow! Amazing review, thanks a lot!! Really nice review, thank you! Sorry for the late reply! Yes, they are also great for 1D. I think they are more grippy than for example sundias, when the plastic gets a git used. This concerns contact tricks. About them breaking, I have managed to break 1 already. 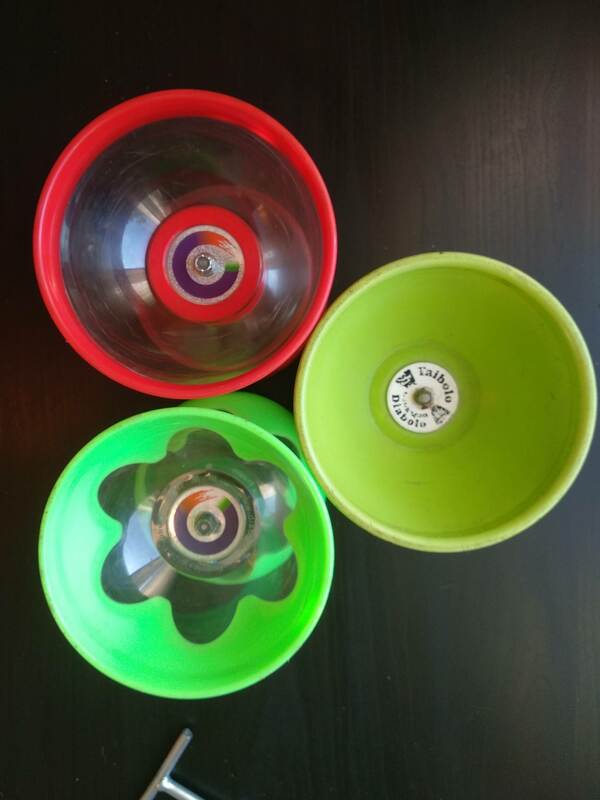 I think they may be more durable than the first model with the flower pattern (http://diabolo.ca/forum/index.php?topic=12836.0), but still less durable than the other high quality diabolos. But in high they work like an absolute beast, super stable.